Down South Printing & Cd Duplication is giving you great prices on CD duplication and custom merchandise. 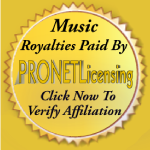 They are here to help you succeed in the music business. Previous article“Undisputed” Reality TV Show With Floyd Mayweather Sr.